Anyone with Word can create this easy do-it-yourself sell sheet. As a member of the National Association of Book Entrepreneurs (NABE), my novel Our Romantic Getaway was recently included in their marketing efforts at the 2015 Pacific Northwest Booksellers Show in Portland, Oregon. As a follow-up, I wanted to send a marketing flyer to all of the potential buyers who visited their booth and/or had expressed interest in my book. I went online and researched how to put together an effective sell sheet, but was unable to find anything that I could tailor for my personal use. I am a fan of Vistaprint.com for printing postcards, business cards, and other marketing materials, but they had no templates available that appropriately fit my book selling sheet needs. So I did a little cut and paste job in Word and voila, I came up with an attractive, cogent marketing tool. I purchased white 8.5 x 11 card stock (65 lb) and fed the paper through my printer feeder—the front page first, and then placed the completed front page back into the feeder for the back section. If you need assistance putting a sell sheet together, contact me at tschure@TeriSchure.com and I would be happy to quote you an extremely reasonable price to do it for you! Keep your sell sheet clean and simple. It’s better to include detailed information about a couple of things than to have bits of partial information about a lot of things. Include a quote, excerpt of a review, blurb, or endorsement from a well-known person or well-respected authority. 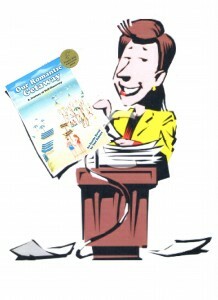 Including any awards your book has received will give you credibility as an author. Flyers with color will almost always stand out from plain black and white flyers. You don’t have to spend a lot of money for the flyer, and if you have a color printer you can print them yourself. If you don’t have a color printer and don’t want to spend the money to have your flyer professionally printed, you can use brightly colored printing paper with bold black text to make sure your flyer stands out. printing establishment can provide affordable flyer printing services. You want your final product to look as professional as possible, so make sure your printer can provide the quality you need. And don’t forget to make sure your contact information is easy to locate. Offer clear instructions on how to reach you or how to take advantage of your promotion. If you set up your flyer in Word, your first side should highlight your book cover only. That’s what you’re trying to sell right? The second side of the flyer will include all the other information. A quote, excerpt of a review, blurb, or endorsement from a well-known person or well-respected authority. If you are visiting the local bookstores in your surrounding area, ask to speak to the manager of the store. If the manager is not available, leave the flyer anyway. But make sure to ask for the manager’s name so you can contact or mail them at a later date. Introduce yourself as a local author, and encourage them to order your book and stock it in their store. Emphasize the fact that you plan on promoting your book extensively in the area and would like to tell people where they can find it for purchase, i.e. recommending their store. You may also decide to leave a copy of your book for their review. If the bookstore enjoys lots of traffic, etc. and you wish to conduct a book signing there, ask the manager if he or she is interested in hosting a book signing. Most bookstore managers love hosting events, particularly with a local author that will encourage patrons to buy books from their store. 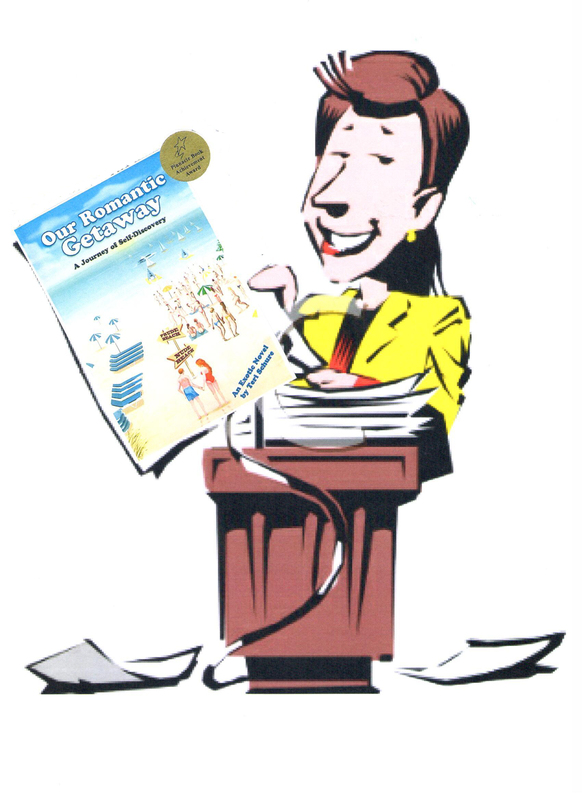 If your flyer is more of a marketing tool for readers, let them know where to purchase your book. If the book is carried by only one or two wholesalers, list them. If handled by a distributor, include the distributor’s name and 800#. Sometimes it takes more than one mailing to interest a potential buyer so don’t give up too quickly. And don’t expect miracles. Marketing is a process. It takes time. Look how long it took you to write your book! Your info seems to be very knowledgeable and helpful. Thanks in advance!